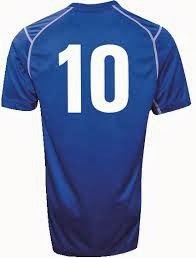 Shirt numbers are mandatory in the English soccer league since 1939, with other countries following slowly. The tradition of honoring a player by retiring his shirt number isn’t by far that old. Nonetheless, it is a fast growing business. And it cuts both ways. For the player it means his longtime serving is appreciated by the club, for the club it’s a gesture that makes the club likeable at the same time. - - Mexican club Pachuca retiring Hernan Medford’s number 17 after he scored his 100th goal. 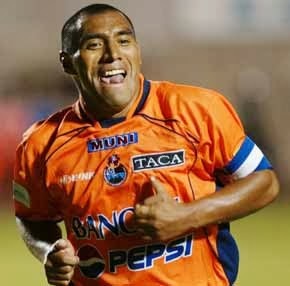 During his professional career that is - he only scored 11 times for Pachuca. So, it’s better to look at players who really deserve the honor of having their shirt number retired. Not because they passed away, or because they had physical problems that forced them into an early retirement. Both good reasons I admit, but I’ll just stick with players who spent their whole career at one club and those clubs being grateful for that. While waiting for Ryan Giggs to retire (24 seasons and counting...) and Manchester United doing the right thing, below is a countdown of the seven players worldwide that spent twenty or more seasons at one club and saw their shirt number put on hold. One of the true legends of Guatemalan soccer, forward Juan Carlos Plata was born January 1, 1971. He made his debut for CSD Municipal at the start of the 1990-91 season, 19 years old. He scored a modest eight goals that season, but Plata soon developed into a profilic goal scorer. Over the years, Juan Carlos Plata has scored 303 league-goals for Municipal. He was the league’s top scorer only twice, but managed to score at least 15 goals in thirteen different seasons. Plata also played 87 times for the national team, scoring 35 goals. After twenty seasons at the club, Plata was given a farewell match, after which it was announced that his shirtnumber 15 would be retired. Surprisingly, Marcos is the only goalkeeper in this list. Marcos Roberto Silveira Reis was born August 4, 1973. He made his first appearance for Palmeiras in 1992, but had to sit on the bench for seven years until first choice Velloso got injured - and later was transferred to Atletico Mineiro. Marcos immediately made an impact that year and made his debut for the Brazilian national team late 1999. Highlight of his career was being part of the World Cup 2002, playing all matches ánd winning the World Cup. At club level Marcos won the Copa Libertadores in 1999 – and was crowned best goalkeeper of the tournament. He retired early 2012, admitting that his age (38 at the time) and his many injuries indicated he should quit the game. 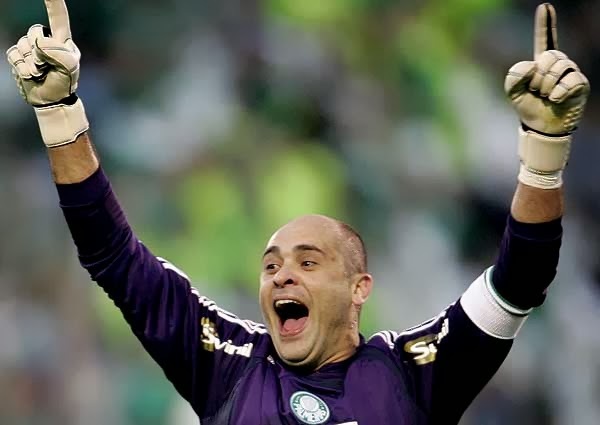 Although not playing much in his first seven seasons, Marcos still managed to compete in 532 matches for Palmeiras. For that, Palmeiras retired the number 12-shirt. Marcos first started out as a reserve goalie and stayed loyal to that number. 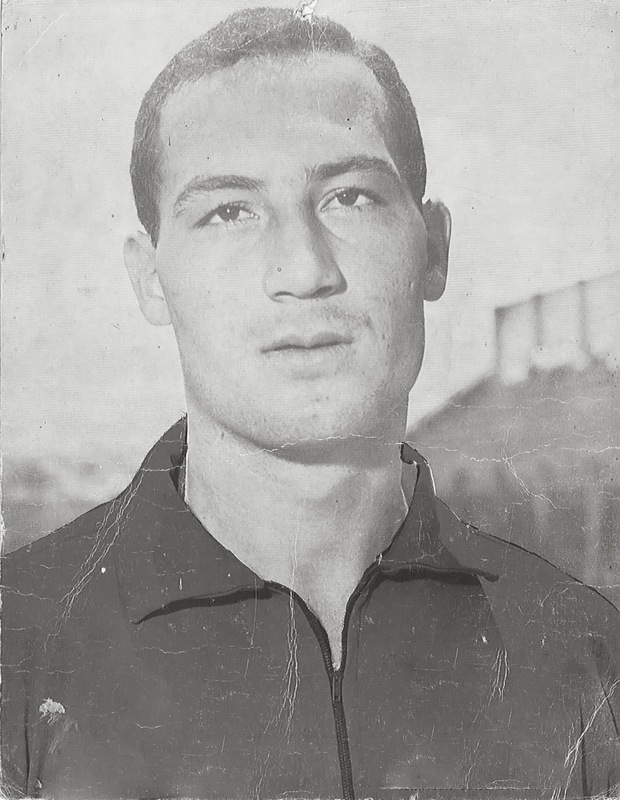 Leonel Hernandez made his debut for CS Cartagines, the oldest soccer club in Costa Rica, in 1960. Born October 3, 1943 he is just 17 years old. CS Cartagines is a big club, but they only managed to win the championship three times in the early days (1923, 1936 and 1940). Hernandez never had that pleasure. Winger Hernandez is known for his skills, they called him the ‘billiard player’ for his accurate passing. He was also a great goal scorer. For example, he scored 22 times in 1969 (Roy Saenz from LD Alajuelense topped that with 24 goals) and he did win the Golden Boot in 1973, scoring 18 goals. Of course, by playing such a long period of time, Hernandez is also up there with the best goal scorers of all time. With his 164 league goals he’s CS Cartagines record holder. Hernandez was a member of the national team from 1963 until 1972, earning 35 caps and scoring 11 goals. In 1979 he decides it’s time to step down, 36 years old. His number 11 is retired ever since. 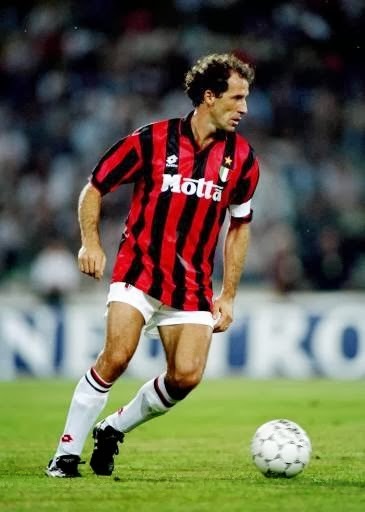 What more is there to say about world famous Franco Baresi? The elegant Italian defender was part of AC Milan from 1977 until 1997, experiencing everything from scandals and relegation to six championships and three European Cups. Starting with the bad experience, AC Milan and Lazio Roma were involved in a gambling scandal and relegated to the Serie B. It took AC Milan and Franco Baresi three years (first promotion, then relegation, then promotion again) to get back on their feet. During the late eighties, early nineties Paolo Maldini and Franco Baresi were the only Italian stars alongside the Dutch supertrio of Marco van Basten, Frank Rijkaard and Ruud Gullit. Baresi also was present at four different World Cups, 1982 through 1994, sitting on the bench in 1982 and missing one of the penalties in the 1994 Final. It was no surprise that, when Baresi hung up his boots after a disappointing 1996-97 season, 37 years old, AC Milan also retired his shirt number 6. Not a big name even in Asian soccer, but Hong Kong’s Leung Sui-wing has a great soccer career to show for. He started playing professionally at Happy Valley in 1976, at the age of 18 years. In the next 21 seasons, he was runner up in the league seven times. He managed only one championship win, in 1988-89. Perhaps Sui-wing’s biggest achievement was not in the Happy Valley-shirt, but during one of the 46 times he represented Hong Kong. On May 19, 1985 he was captain of the team that played against big rival China, during the World Cup qualification campaign for Mexico 1986. Hong Kong had drawn 0-0 at home, but managed to surprise the Chinese, winning 1-2 in Beijing. It got Hong Kong through to the second round, in which they lost against Japan. On a personal level, being voted Hong Kong’s Best Player in 1983 and 1985 was also a big honor. When Sui-wing ended his career in 1997, his shirt number 2 was pulled out of the competition by the club. Just like Leung Sui-wing, Noel Bailie played as a sweeper, although he wore the number 11-shirt. Bailie was born in Belfast on February 23, 1971. He was picked up by Linfield FC at the age of 15, and made his debut in the first team on March 30, 1989. 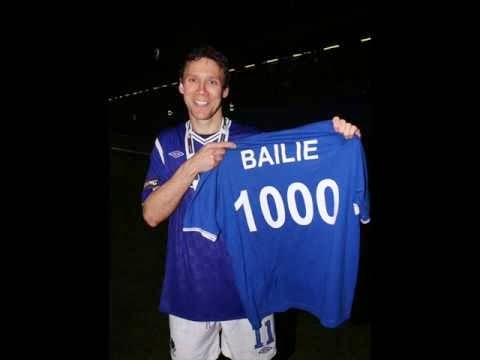 During the next 23 seasons, Bailie won no les then 34 trophies, among them 10 league championships and seven FA Cups. Bailie never was an outstanding player – although he made a few appearances in Under 23 and Under-21 games for Northern Ireland – but he was the kind of player you miss when he’s not playing. Linfields defense was definitely less solid during those matches. Luckily, those days were few, as Bailie played a grand total of 1,013 matches in the blue and white of Linfield FC during those 23 seasons. His last match was against Lisburn Distillery and got Linfield their 50th league championship. No family probably has played more seasons for one club as the Maldini family did for AC Milan. Father Cesare Maldini wore the red and black shirt (with number 3) for twelve seasons (1954-55 until 1965-1966), although he did started out with Triestina (two years) and ended his career at AC Torino (one season). His son Paolo did even better than that. 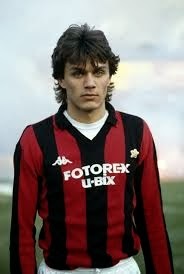 Maldini junior made his debut on January 20, 1985, only 16 years old. It took him until the start of the next season to make his second appearance, but he was a regular from that moment on. The numbers he accumulated over 25 years of professional soccer are very impressive: 25 seasons in Serie A (7 times league champion), 126 international caps (74 times as captain), one World Cup Final in 1994, 8 European Champions League Finals (winning five), 647 matches in Serie A. So, if Maldini didn’t deserve to get number 3 retired from AC Milan’s first team, nobody ever again would. But of course, AC Milan did the right thing. For the record, Maldini’s number 3 might not be retired forever. He and AC Milan are okay with one exception: it would be okay for one of Paolo’s sons, Christian or Daniel, to wear that famous number again. If they ever make it into AC Milan’s first team. Which is not impossible as both youngsters are members of the youth academy. Christian (17) was loaned to Brecia just this January, trying to get into the first team at the Serie B-club.